An oriental looking design. 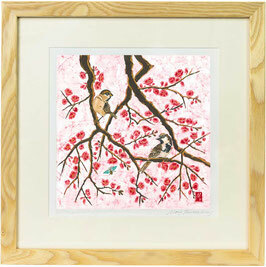 Two charming little sparrows sit on the branches of vibrant coral coloured japonica full of blossom. 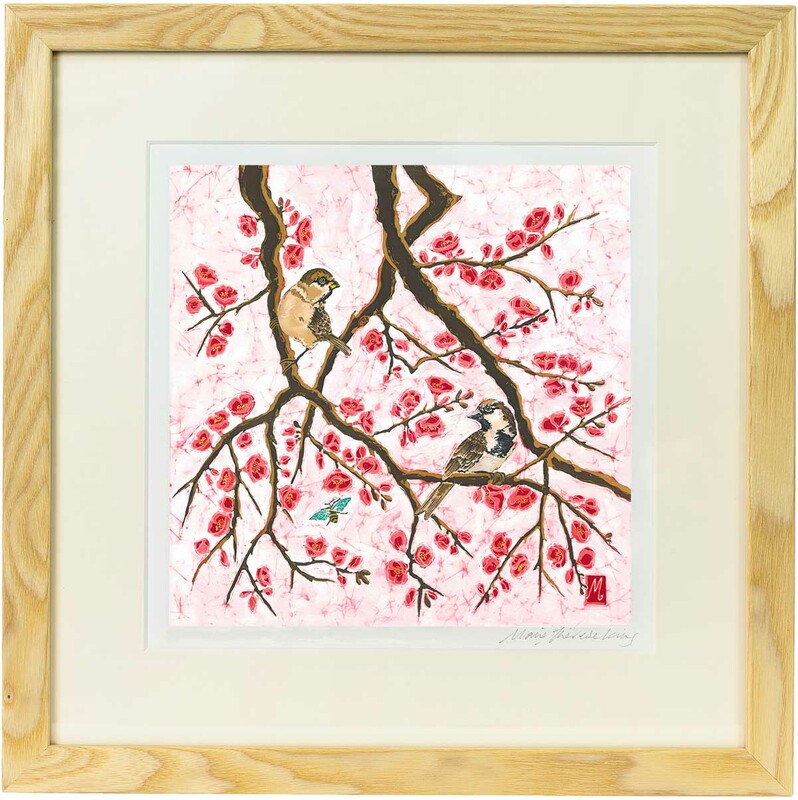 A little moth flutters by adding a touch of emerald green amongst the coral pink flowers. 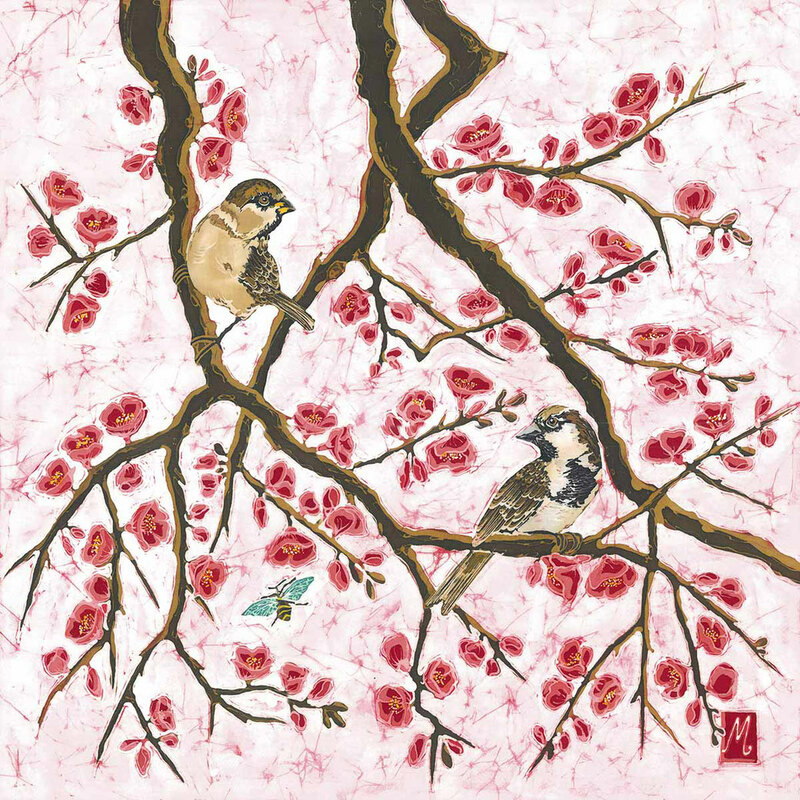 I love Japanese Quince, the coral colour contrasts beautifully with the brown colour of the sparrows feathers in this image.